We would like to wish you and your families a very Happy Christmas and a Prosperous New Year. It’s been an amazing record year for Futures Supplies. We have enjoyed celebrating some key milestones with you including our 20th Anniversary, receiving the award for The Best SME Business 2015 and the highest accolade awarded by Plimsoll for ‘Outstanding Performance’ – thank you. 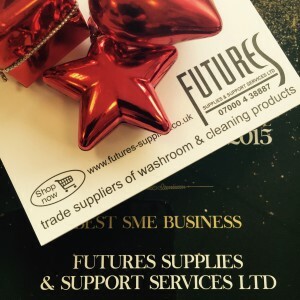 You can continue to place orders on line 24 hours a day, 7 days a week as normal at www.futures-supplies.co.uk right through the Christmas and New Year period and remember we will be here if you have any last minute requirements up to and including 24th, 29th, 30th and 31st December. A heartfelt thank you to all our valued customers for your loyalty and support throughout 2015 and a promise from all the team here to continue to deliver exceptional service and value throughout 2016 and beyond. We are all excited and delighted…… the champagne corks are popping as we celebrate 20 years in business. 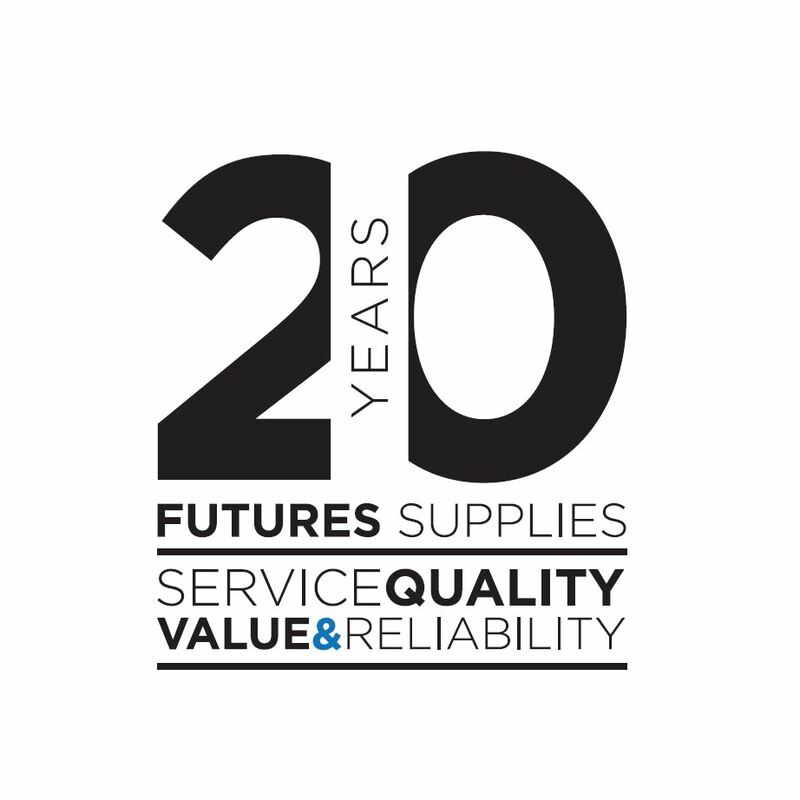 Twenty years marks a significant milestone for Futures Supplies. 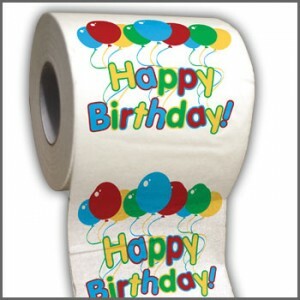 We began as a small business working from home with a garage full of toilet rolls and cleaning supplies delivering door to door. We have now grown to become an award winning company with a turnover in excess of £3.5 million. Working with local customers and on a national basis we are honoured to be able to celebrate this occasion with many of the people who have shared our journey and contributed to make the company the success it is today. Futures Supplies was set up in 1995 by current CEO Mandie Kemp and in the last two decades the company has established itself as a pioneer, innovator and leader within the cleaning industry. 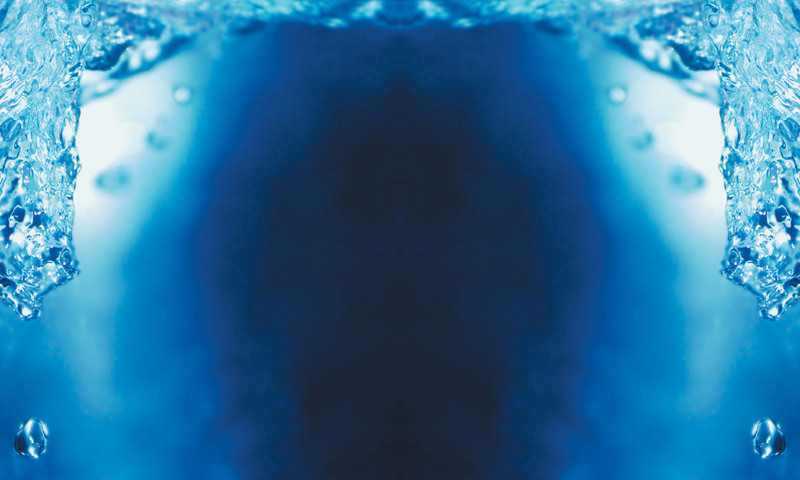 The company is now well established and respected and is recognised as a major player in distributing washroom, cleaning, janitorial and associated products. It is proactive in its approach to the environment and is committed to Corporate Social Responsibility, always seeking ways to put something back into the local community, whilst delivering exceptional value and customer service excellence. We are thankful to our many customers and partners for their loyalty over the past twenty years. Our industry has evolved and developed significantly, there has been substantial growth and competition is always fierce. Throughout these changes and with difficult economic conditions, we have always remained focused on collaborating to deliver added value, quality products and an exceptional first class service. We never forget the customer comes first, and positioned for long-term success are excited to have such a young, dynamic and forward thinking team to lead the company into the future. The team at Futures Supplies are popping the champagne corks as the company celebrates its 18th Birthday this month. Mandie Kemp, Founder and Managing Director set up Futures Supplies in 1995 from her garage at home and since then Futures Supplies has grown to become one of the most respected, independent family-owned and run businesses in its industry with a reputation for delivering exceptional value, quality products, outstanding service and leading the way in delivering industry innovations. Futures Supplies is a highly successful and profitable business, which has won numerous business awards particularly for its CSR and sustainability projects, including a Big Tick, Green Apple and South London Business Awards, Mandie was also crowned Surrey Business Person of the Year in 2006. The team at Futures Supplies has worked hard, always believing that business is not just about the bottom line but much more – integrity, loyalty, respect for people, respect for the planet and giving something back. A business built on a strong ethos delivering service, quality, value and reliability with a commitment to sustainability and innovation. Values that are at the heart of our business, none of which we would compromise – this is who we are. Collaboration between a valued and respected family – our team of well trained and motivated personnel, a trusted high quality supply chain and like-minded loyal customers, makes for a successful recipe. High standards deliver exceptional results. Given the opportunity to share knowledge and expertise along with the inspiration and passion to support those that may be less fortunate, we hope to help the whole world go round! We still believe in these values, we uphold them – we always will.